The Exotac MATCHCAP is an all-in-one waterproof match case and striker, suitable for use with both standard safety matches as well as strike-anywhere matches. 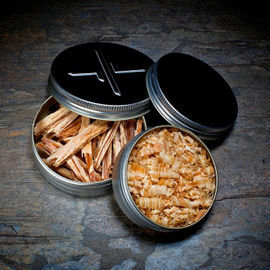 Despite only weighing a mere 26 g, the MATCHCAP is capable of holding all sizes of matches; from the standard kitchen strike-on-the-box safety match, to NATO lifeboat matches and even the extended length matches sold by REI. 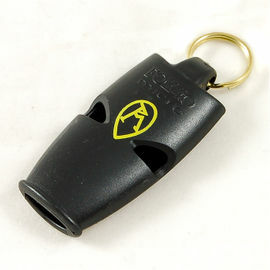 The dual-striker design means that you can use safety matches, strike-anywhere matches, or a combination of the two. Exotac MATCHCAP is rated 4/5 based on 4 customer reviews. Value for money. This is a very sturdy piece of equipment. The beautifully designed matchcap is shipped with spare parts in packaging. This keeps my matches dry and secure. The striker is rather small and easily damaged (although spares are included) so I cut one from a match box and include that inside. I do like this matchcase, it does have a flaw though, and as pointed out before the safety striker is bobbin's, you will like me replace it with a better one. 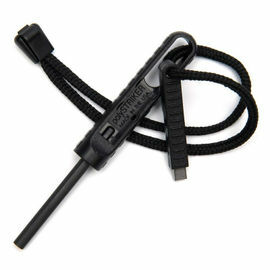 It is otherwise a great item, lite, tough, and holds what it says match wise, which is enough for me. I also like the cap, this can be take a lanyard, so it will remain attached to you if you take a spill. I would recommend it, though beware the striker on the top! I'm disappointed. I got this because I needed a waterproof container for matches and didn't have one to compare against. You can't fit more than 14-16 waterproof matches in here. If you go for the phosphorous ones then the striker is very poor and after 4 strikes I had to replace it with one of the spares supplied. The phosphorous is only accessesible when the top is off the container so the other matches can get wet and drop out easily - a poor design. My advice is to try and get a strike anywhere survival match so you don't rely on the poor inside striker.